This year marks the 41st anniversary of the Vancouver Folk Music Festival. 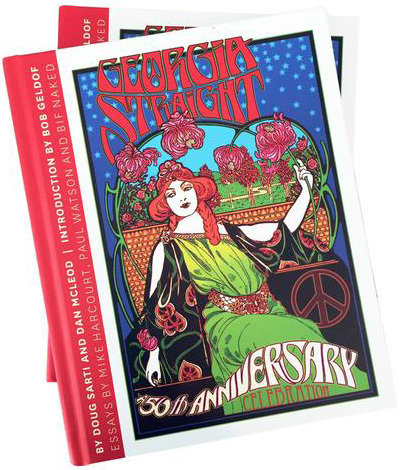 To celebrate the occasion, the Georgia Straight's coverage includes articles about Neko Case, Dori Freeman, Iskwé, Las Estrellas de Vancouver, Rodney Crowell, and Ranky Tanky. The entire lineup of artists is available here and includes Art Bergmann, Alex Cuba, Gordon Grdina, Quantum Tangle, Grant Lawrence, and Dawn Pemberton, who are all no strangers to Vancouver audiences. The 2018 edition takes place at Jericho Beach Park from Thursday to Sunday (July 13 to 15). Enjoy the show! As folk performers have always done, she frequently concerns herself with the pressing issues of the day. The Vancouver Folk Music Festival headliner says she trusts herself in the free fall. The singer is just out of her teens but what stands out is the way that she sounds like an old soul. Forget Tony Robbins: if you’re a songwriter in need of positive thinking you need only consult Rodney Crowell.